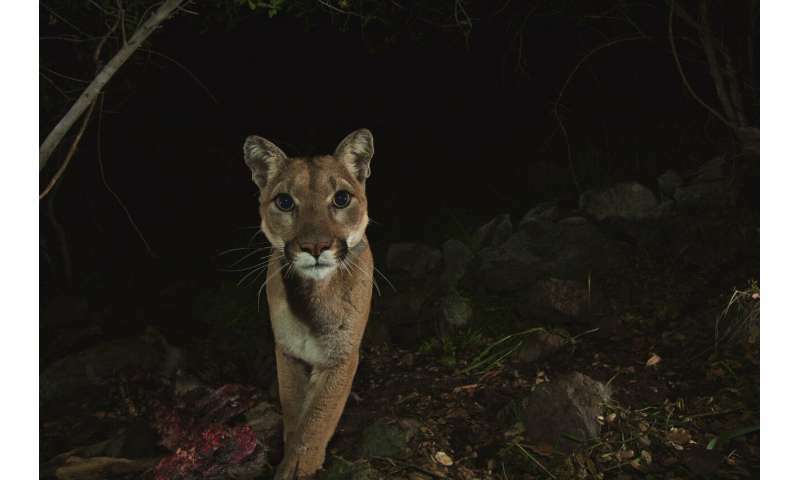 "It's easy to read our paper as yet another pessimistic story about wildlife threatened by human actions—and in a sense that is true," said Benson. 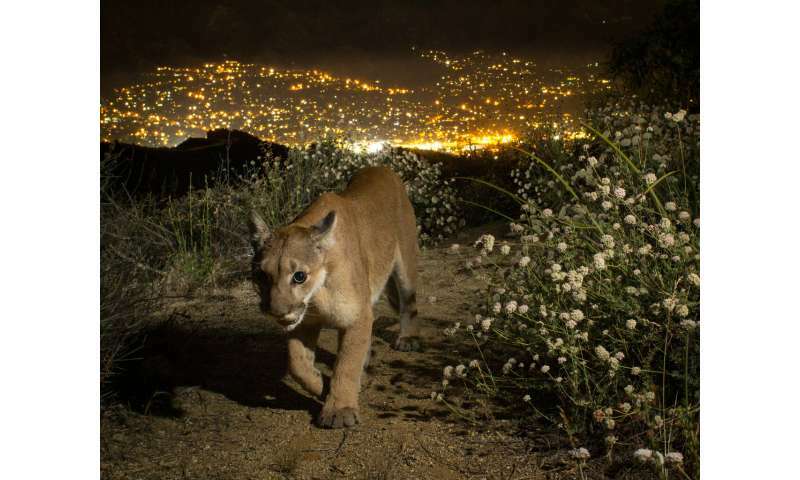 "However, there is also a more optimistic message in that our model predicted that these populations can persist with relatively modest increases in landscape connectivity. 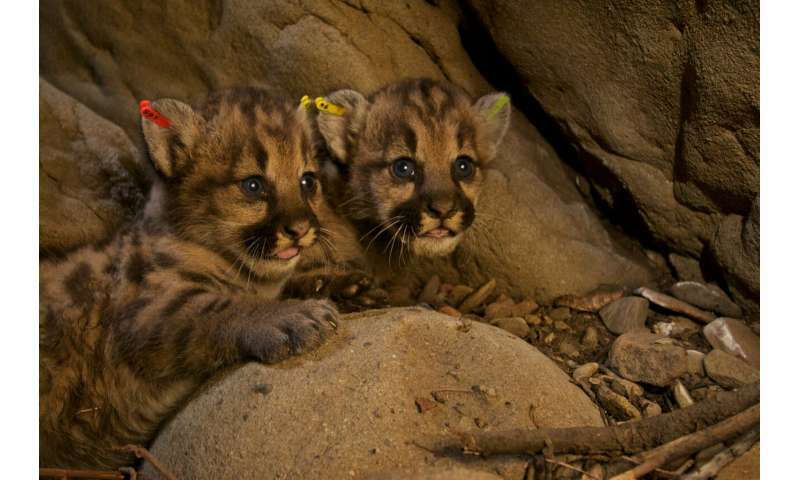 If we can maintain healthy populations of mountain lions—a species that roams widely and requires such large spaces—here in greater Los Angeles, that bodes well for our ability to conserve large carnivores anywhere." Genetic diversity in these two populations is expected to rapidly decline over the next 50 years, which raises concern about inbreeding depression—a phenomenon in which survival and reproduction of animals decline due to low genetic diversity. When the researchers simulated the effects of inbreeding depression in the two populations, the model predicted that rapid extinction was almost certain. Problem solved by reducing the state's population by half, but instead the politicians keep filling up empty space with more people as fast as they can. Probably has something to do with the Electoral College versus Popular Vote being more important than quality of life for wildlife habitat, nothing like getting it all backwards. It's those evil politicians who are cracking the whip driving all those people to move to California. All these refugees from the self-depopulating Great Plains states. Refugees fleeing the collapsing economies & religious tyranny practiced throughout the Bible Belt. Refugees fleeing the repressive violent fascism common throughout the Southern States. Refugees seeking innovative opportunities & education & the Arts & Sciences. Out from under the stagnating manufacturies of polluting antiques & obsolete weapons. Calif Taxpayer subsidized to keep the Wall Street Casino staggering along another quarter. The miserable climate intensifying outside their doors couldn't have possibly influence their decision to follow the Okies? Viewing the Rose Parade & football games subsidized by Realtors? Oh sorry, I didn't know you missed those this year. While you were keeping watch for the next tornado or the next Ice Blizzard. So you DO remember the 8 horrible years of the Obama presidency/administration where everything in the US was turning into an awful mess due to Obama's Socialist policies of introducing Americans to totalitarianism.